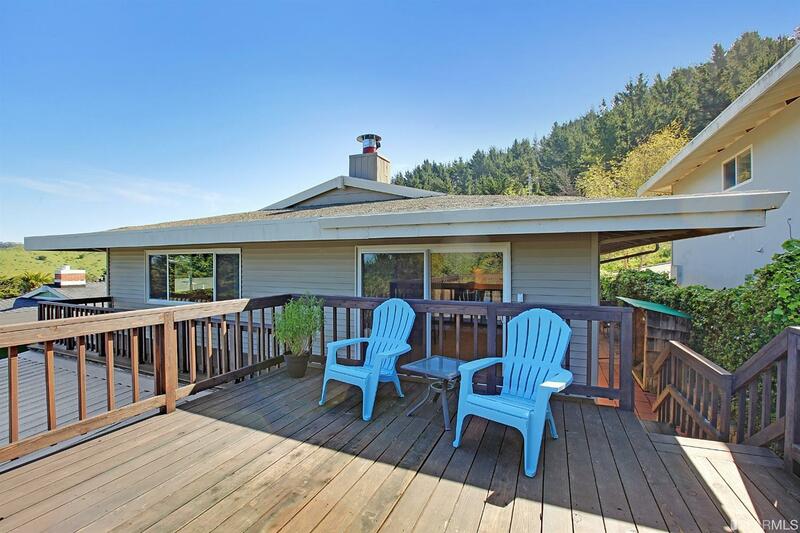 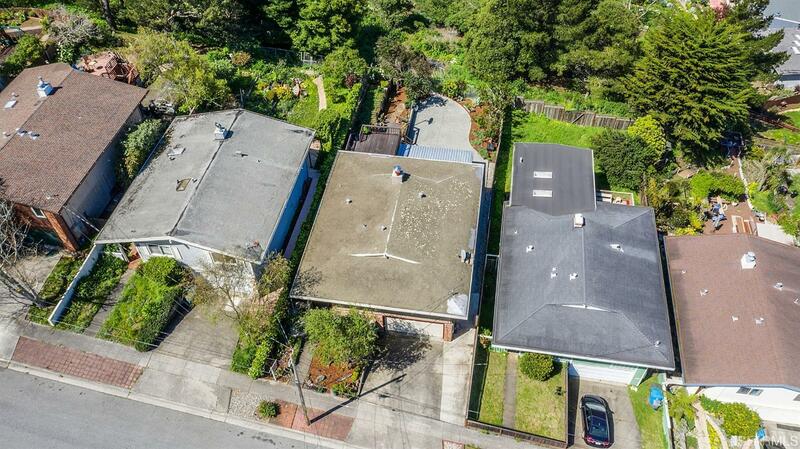 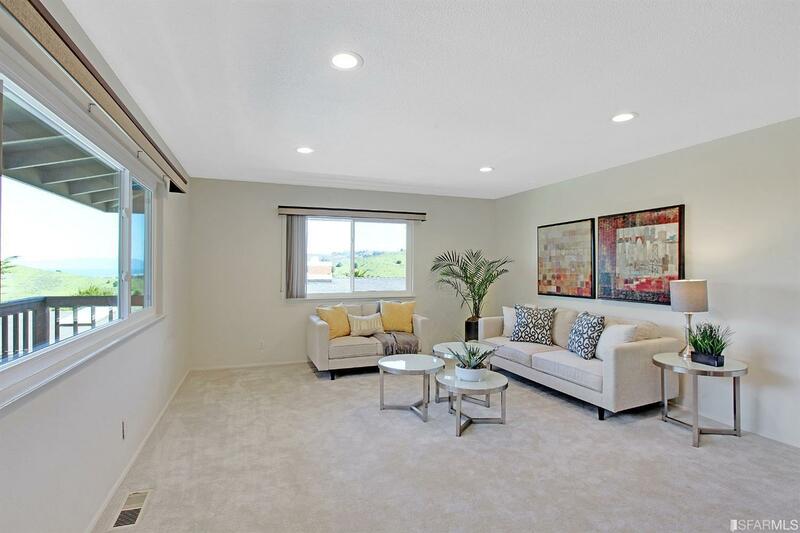 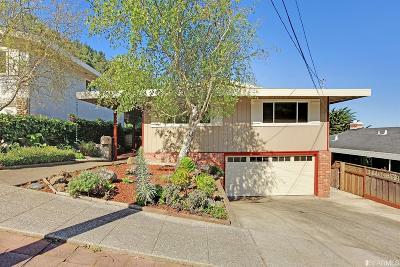 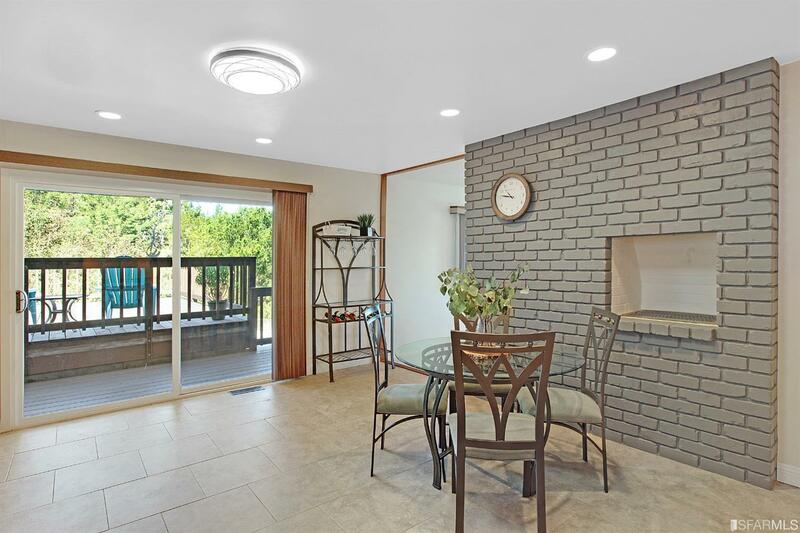 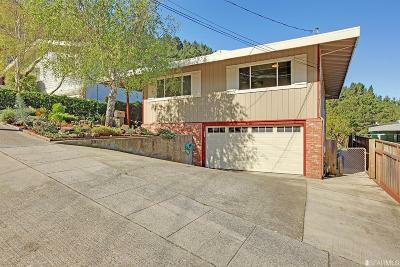 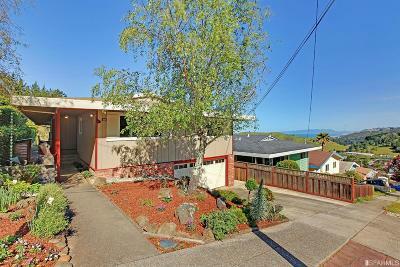 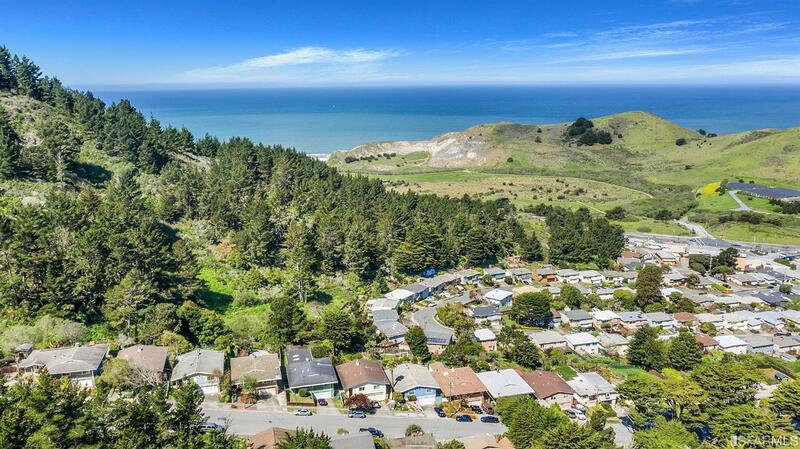 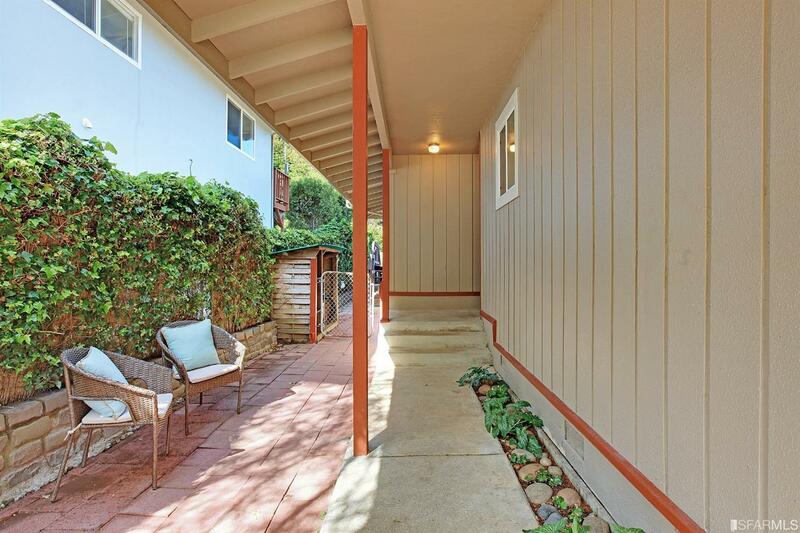 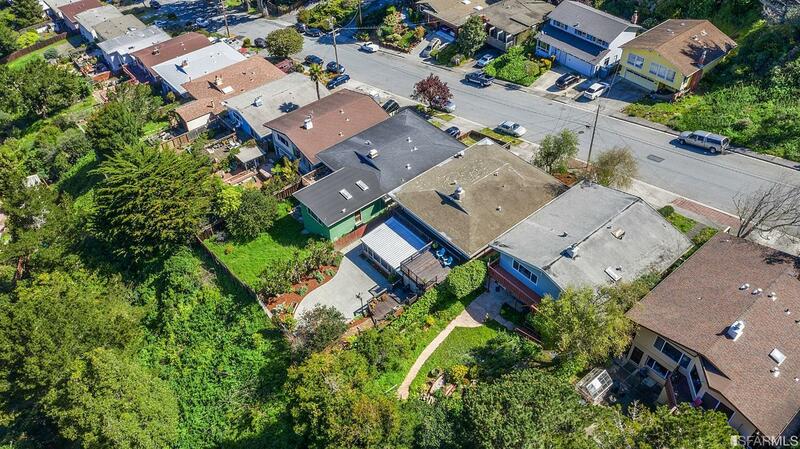 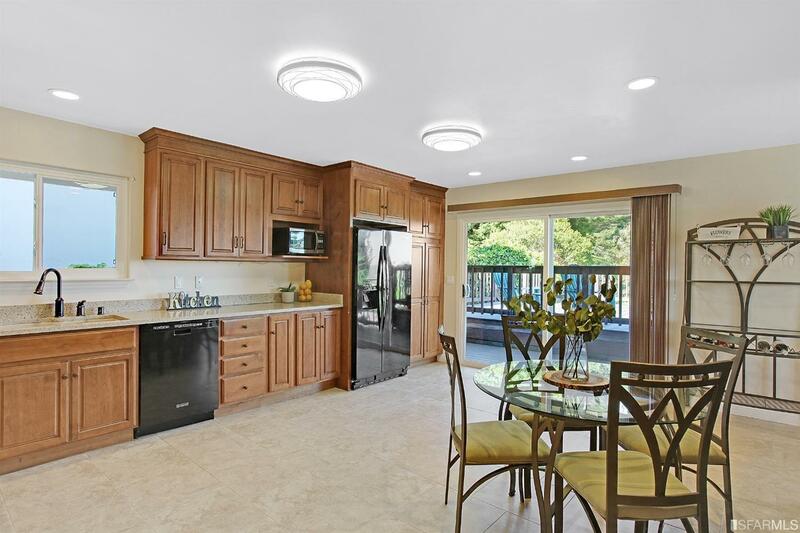 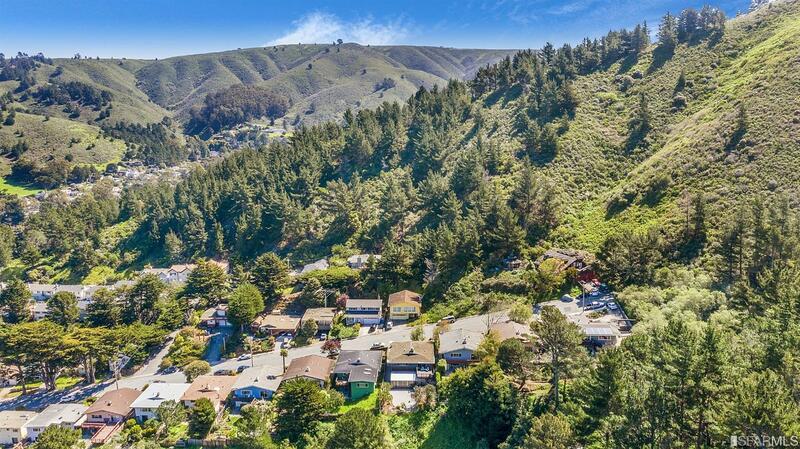 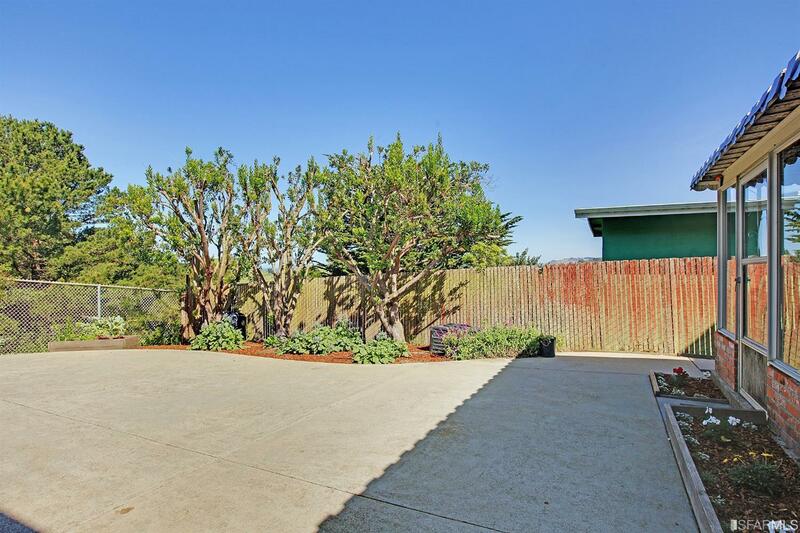 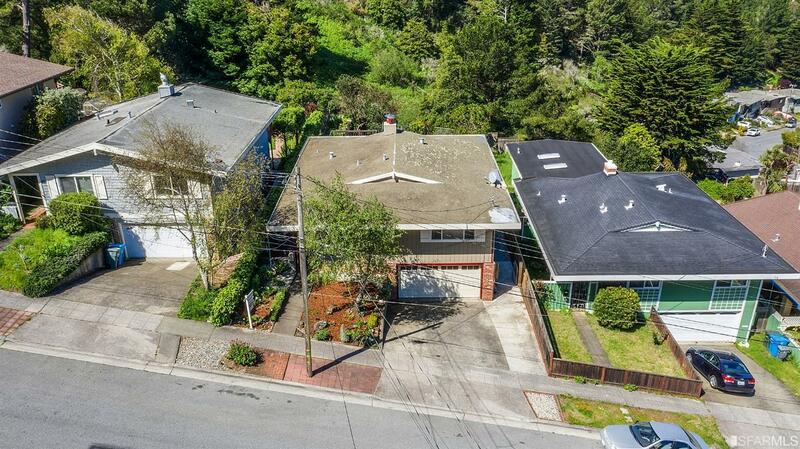 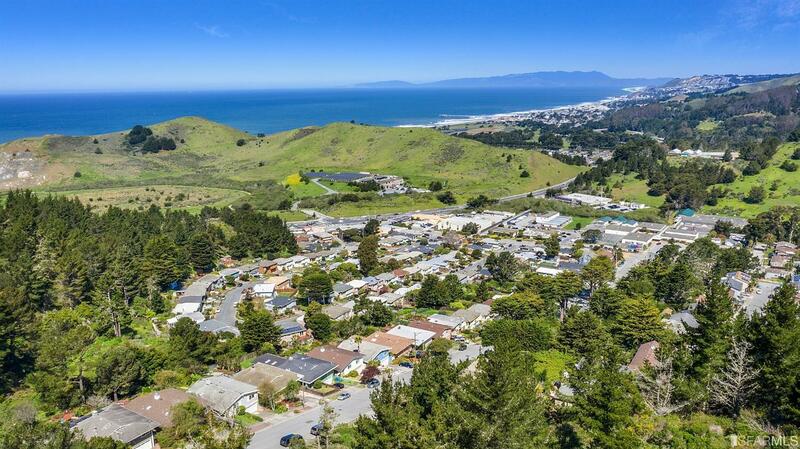 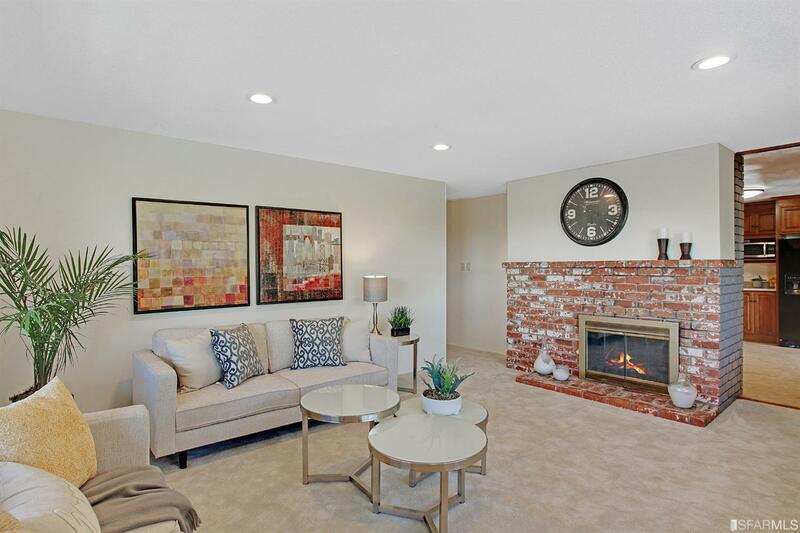 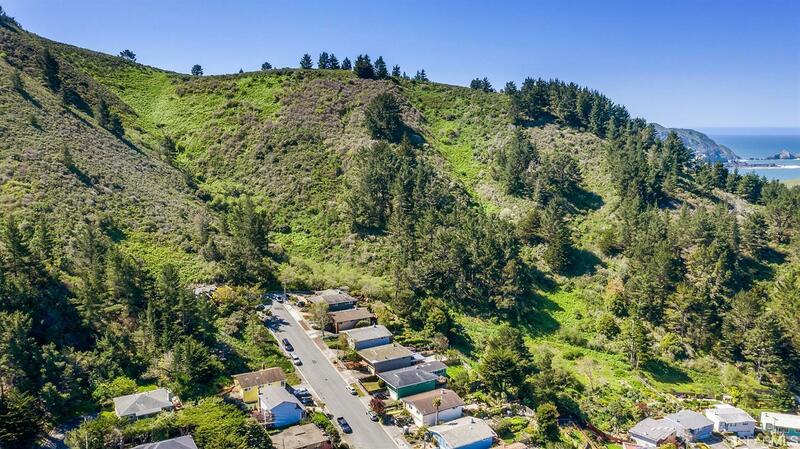 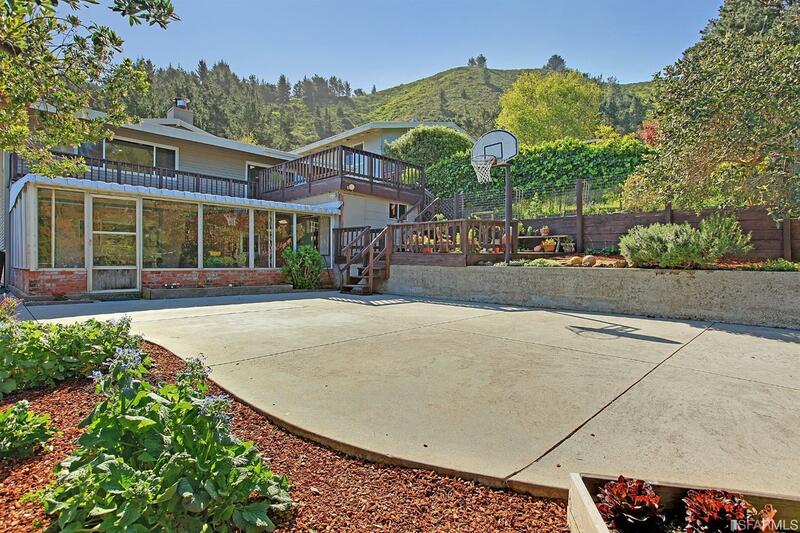 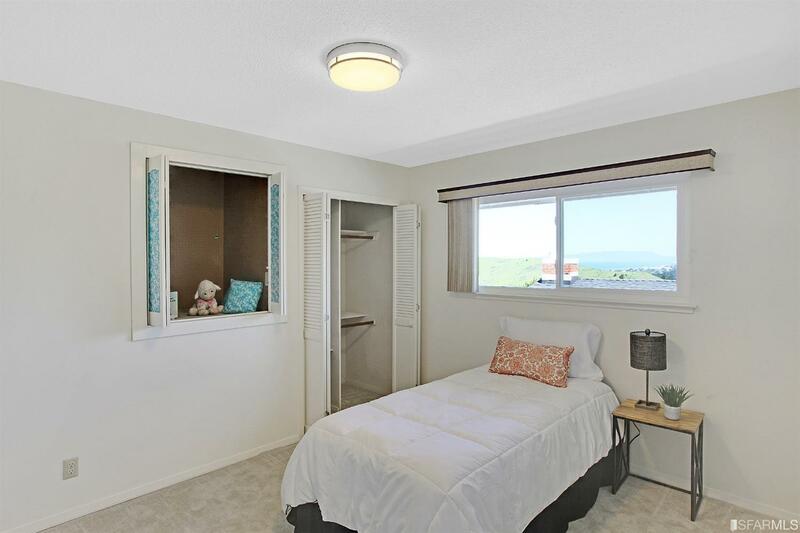 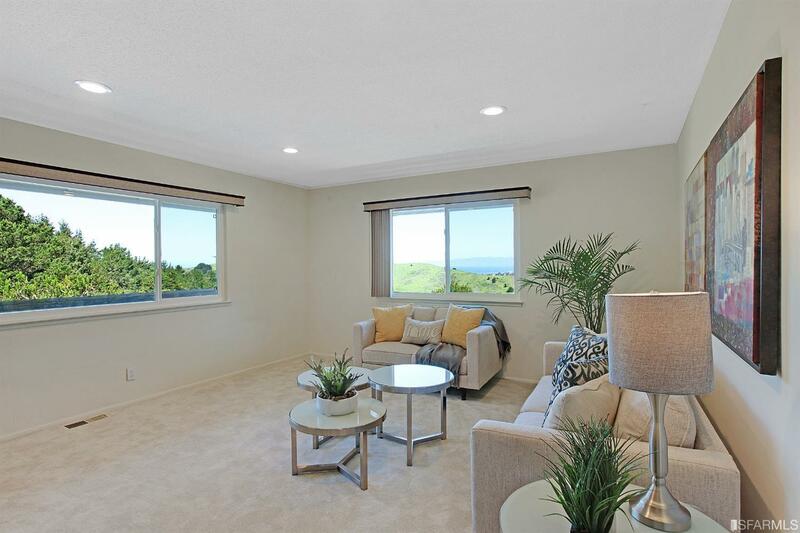 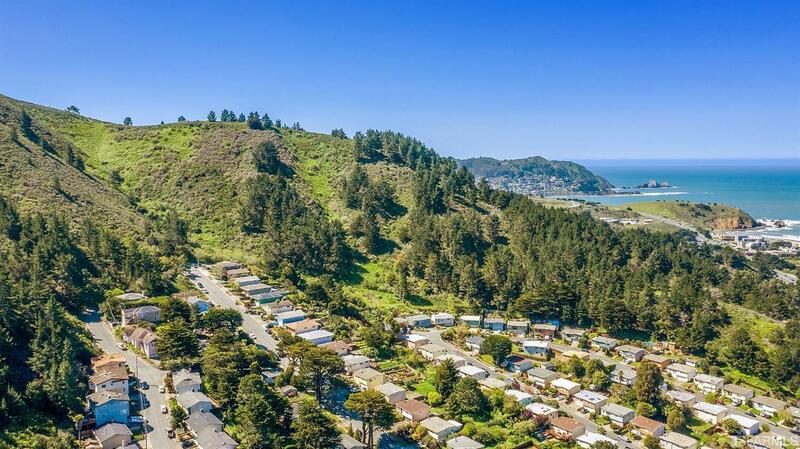 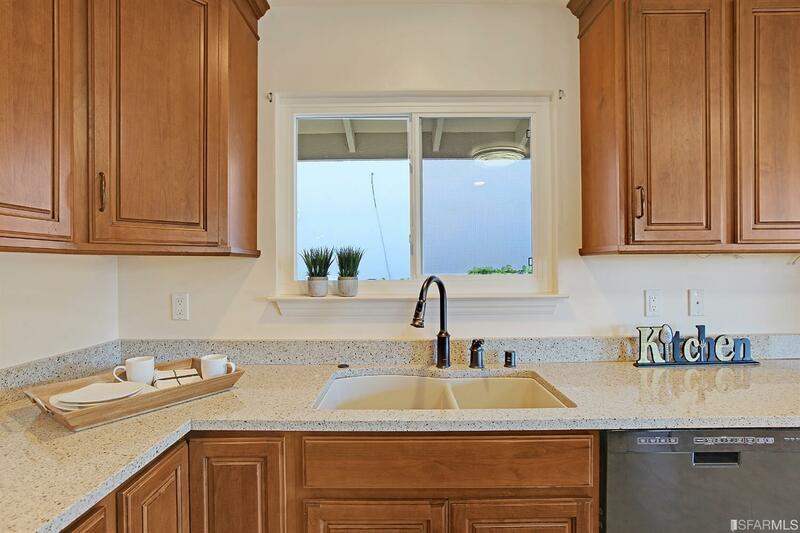 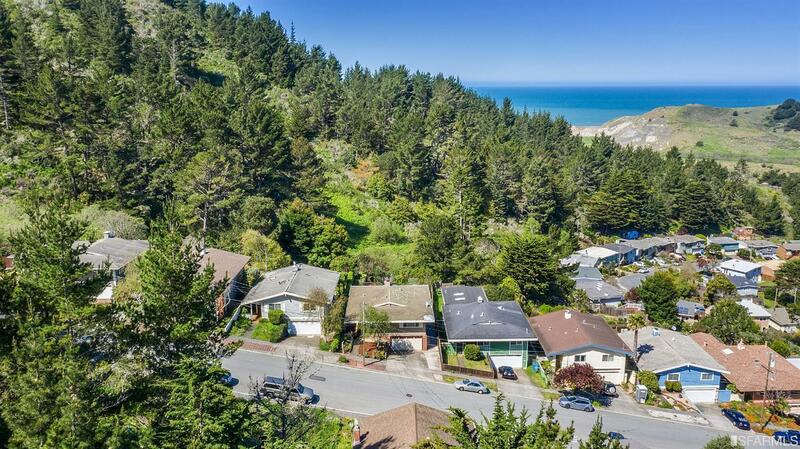 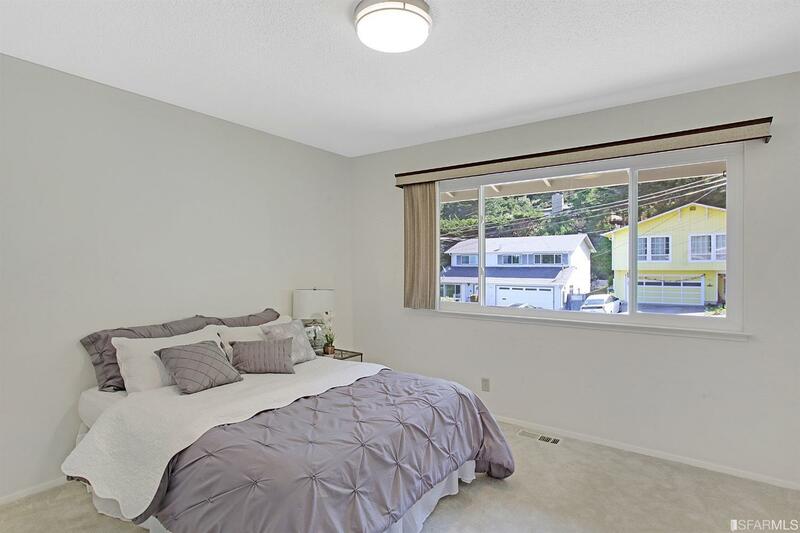 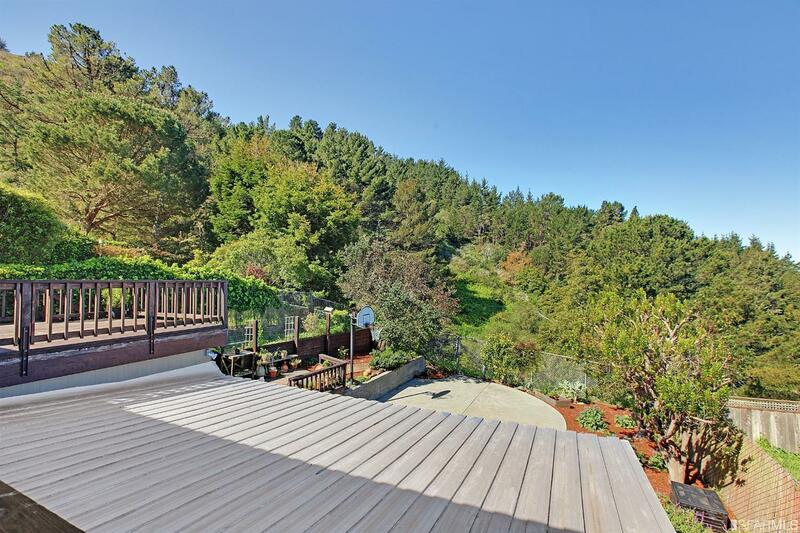 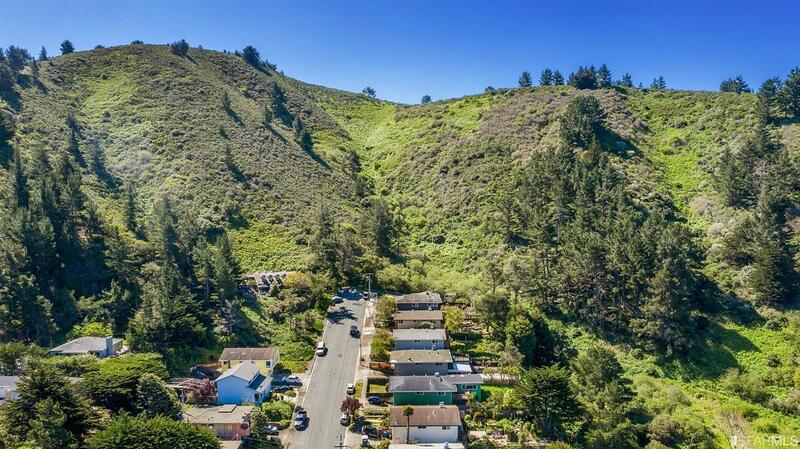 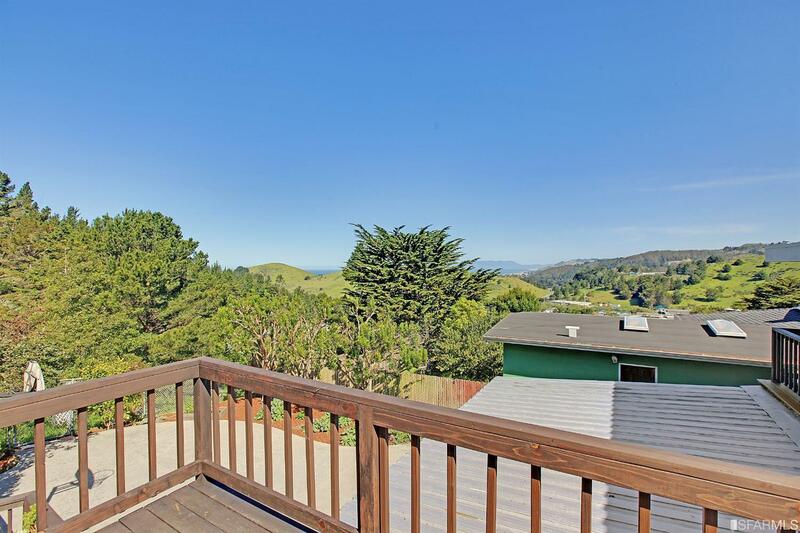 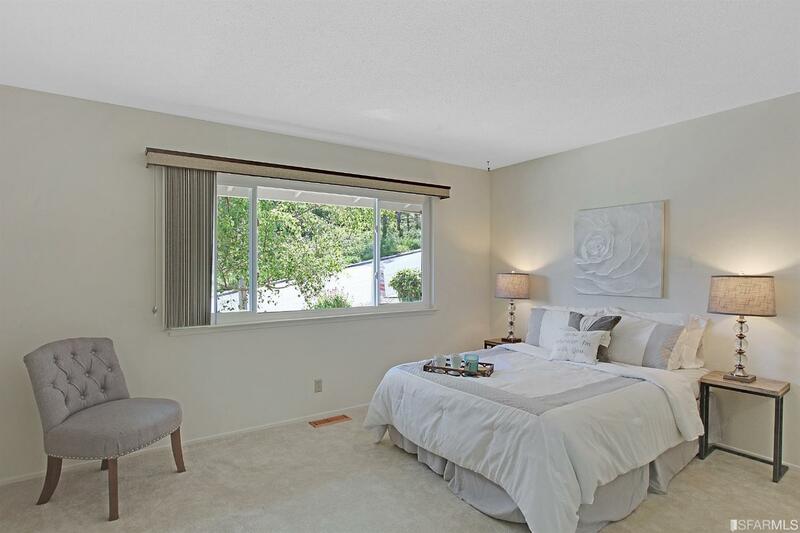 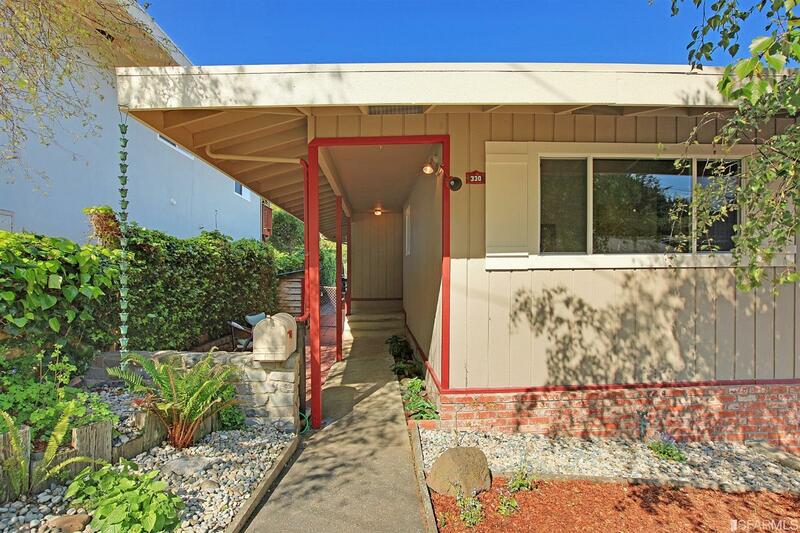 Beautiful 3 bed 2 bath contemporary large home with ocean views among the mountain range, perched up in one of Pacifica's finest locations; in highly sought after Vallemar district. 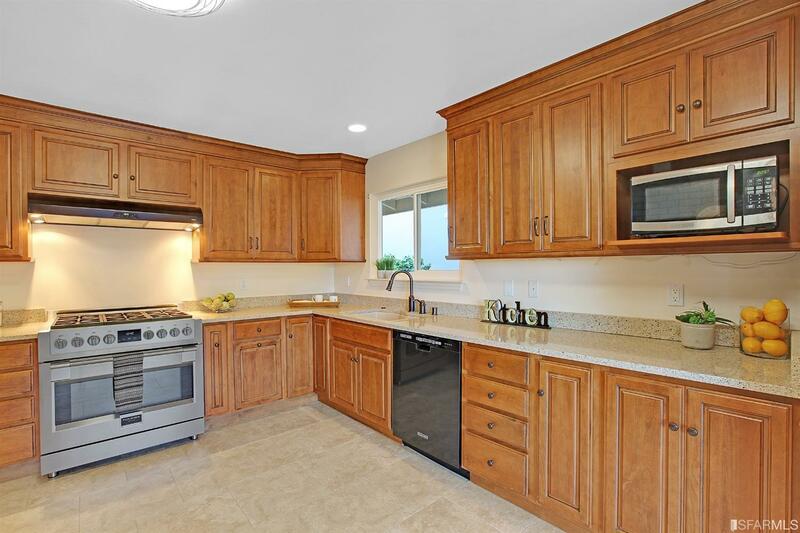 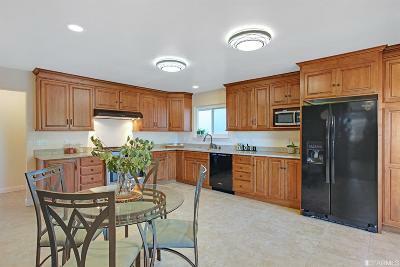 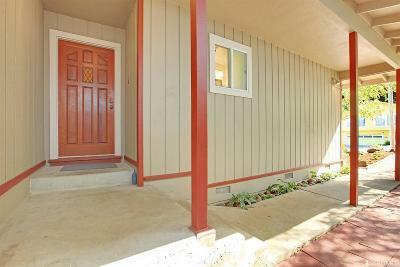 Beautifully updated kitchen equipped with wooden cabinets, quartz counter tops and high end stainless steel appliances. 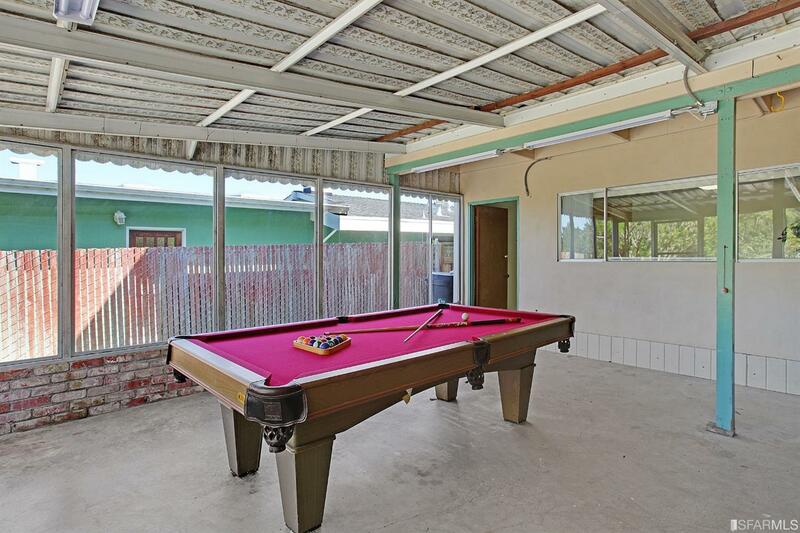 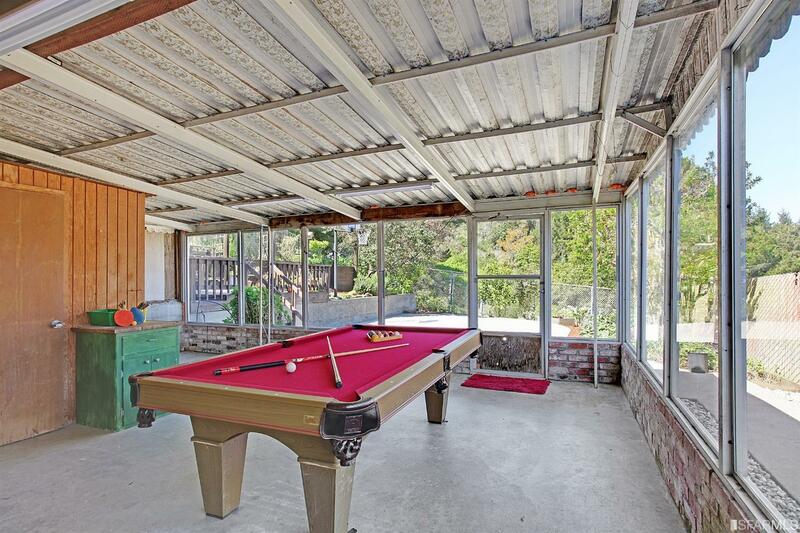 Entertainers delight, as the large family room leads you to an enclosed patio with pool table/table tennis included in sale. 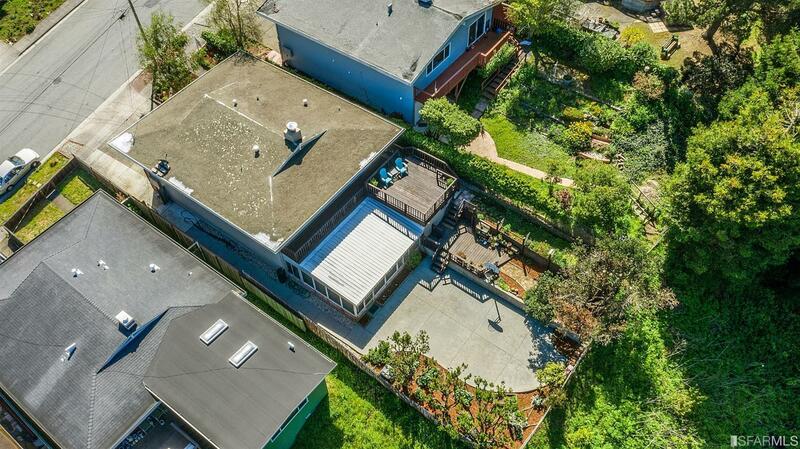 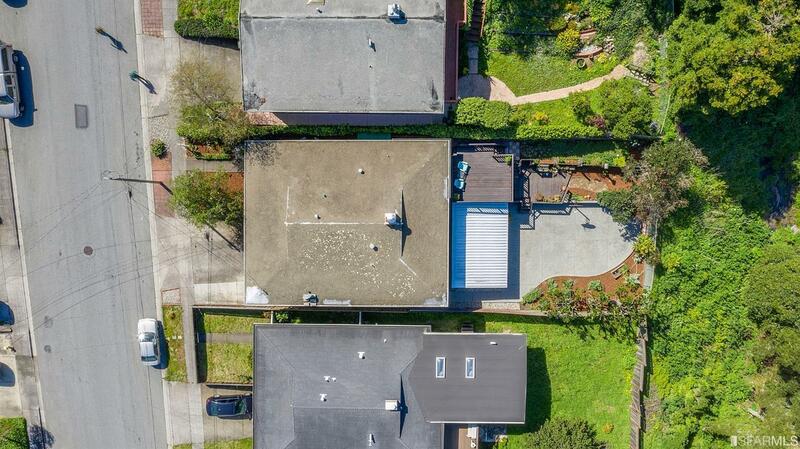 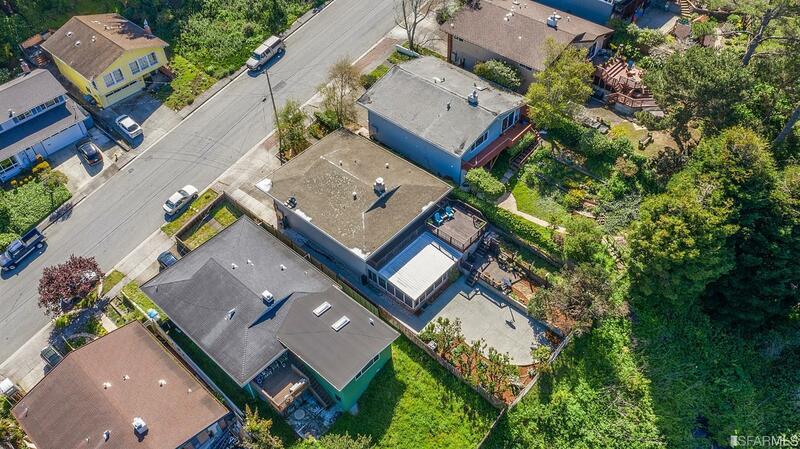 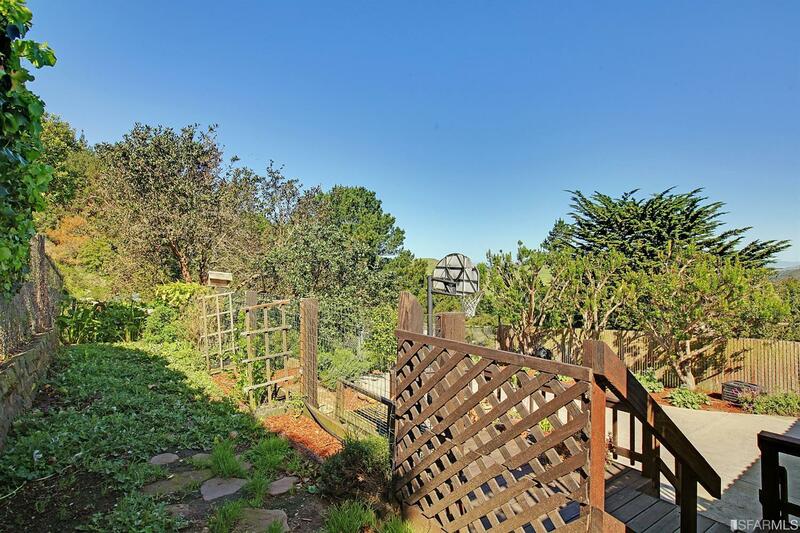 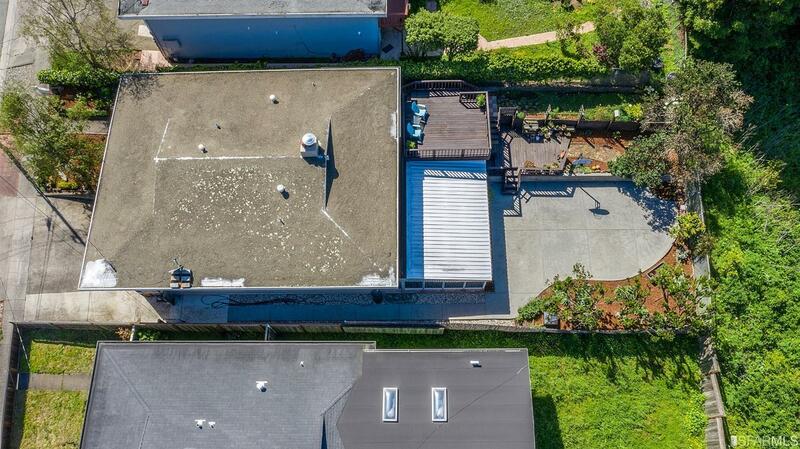 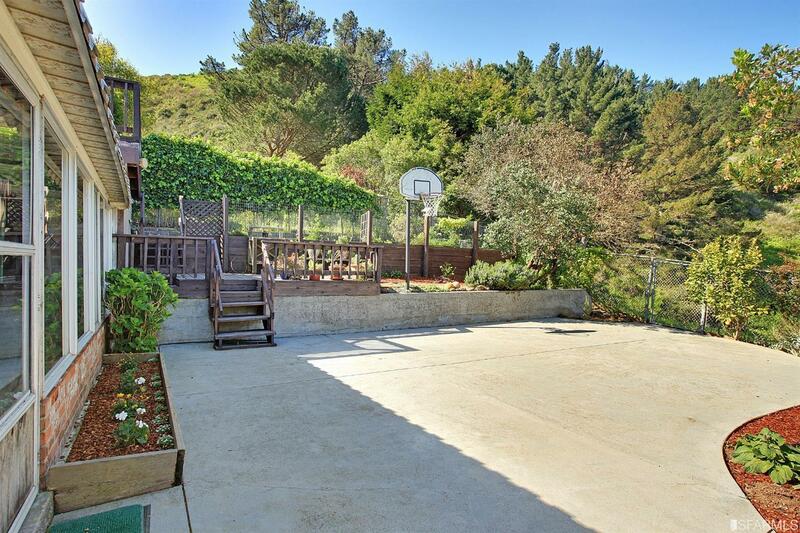 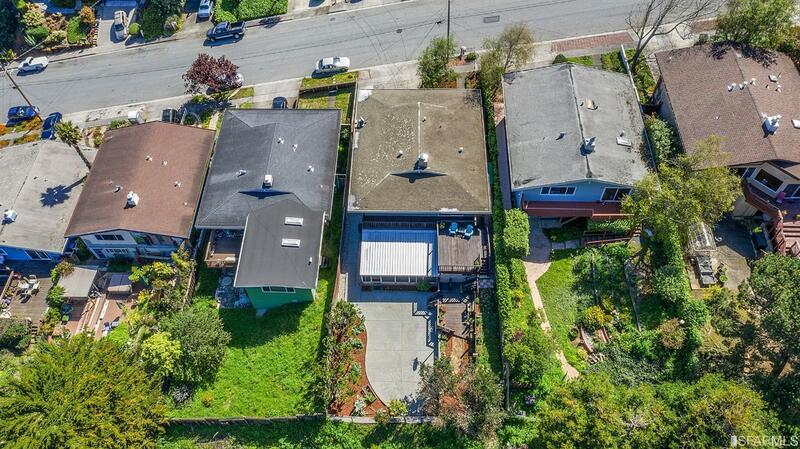 Rear yard includes large decks ocean and valley views, patio with basketball hoop, planter boxes and gardens to make most green thumbs jealous. 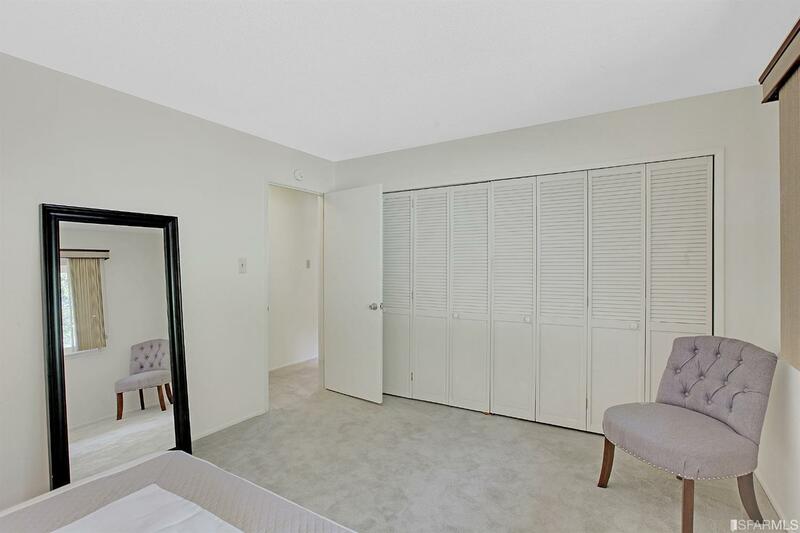 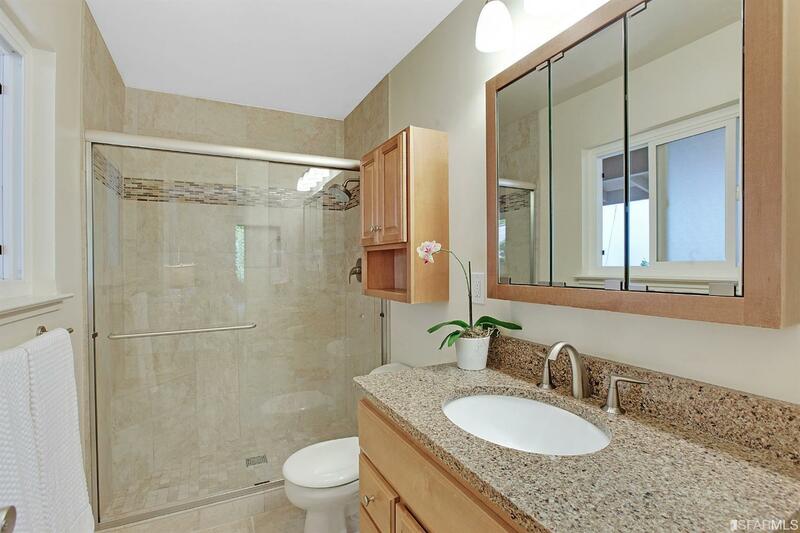 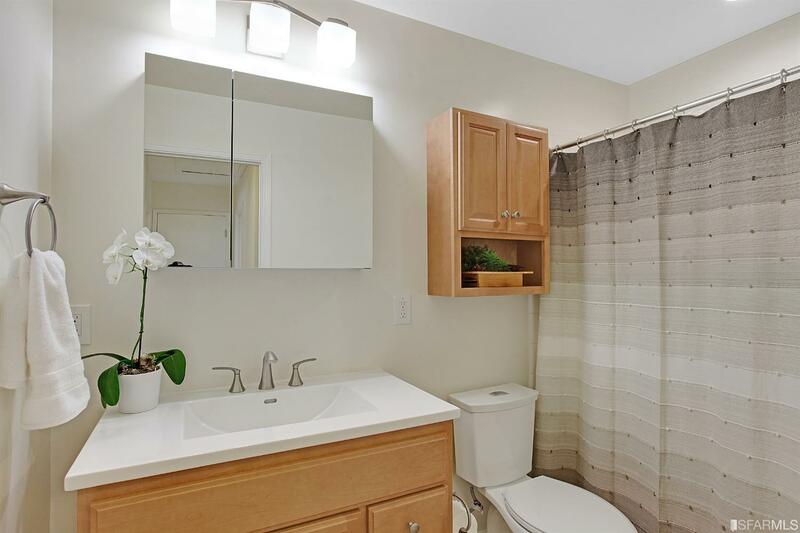 Master en suite with tastefully updated bathroom and modern finishes. 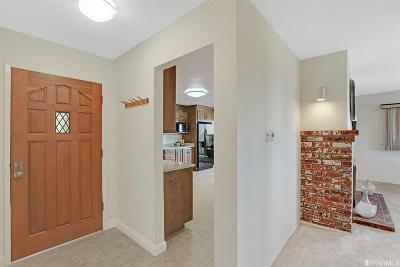 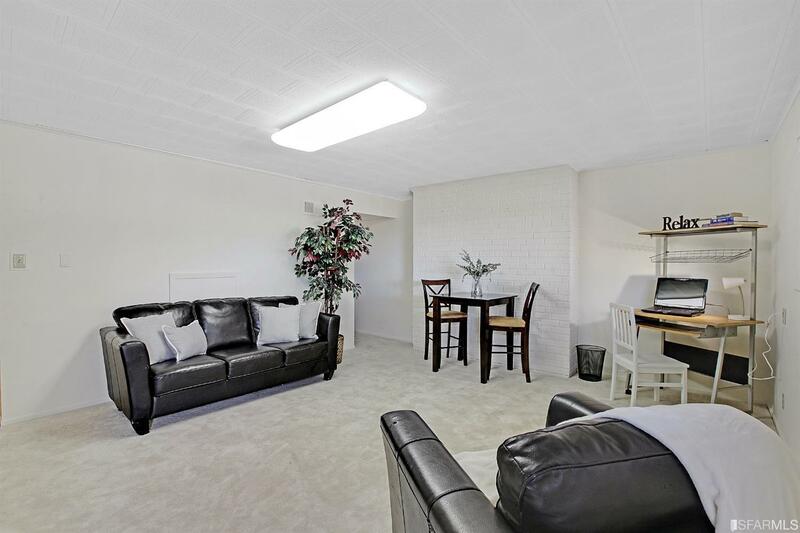 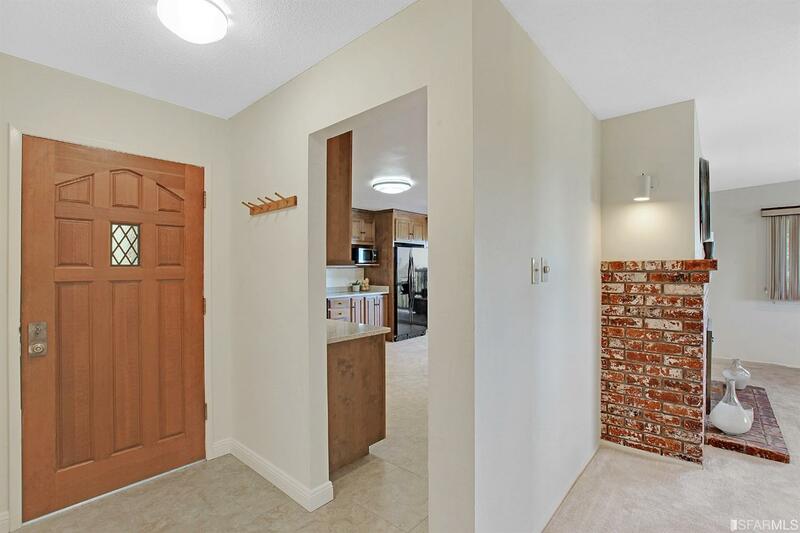 This home is move in ready, sure to please next owner. 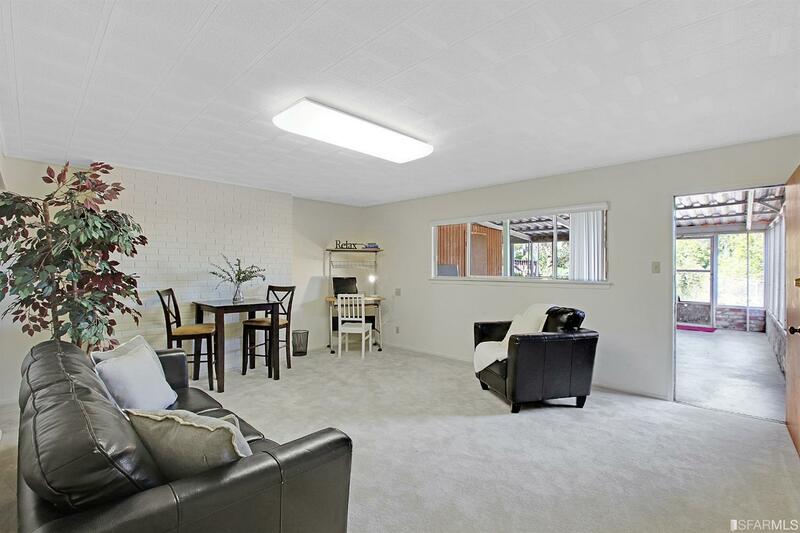 New interior paint, new carpets and ready for new owner.